Even if you’re applying for a job that is similar to your current career, we know that every workplace is different, and enjoying a role is just as important as succeeding in it. We have a number of different departments within our office environment, including Finance, Information Systems and Production Control. We think the best way to get know somewhere is to hear it straight from the horse’s mouth, so we have asked some of our current office-based NMUK employees to tell us, in their own words, how they find life at NMUK. As an NMUK employee, we will expect hard work and dedication from you but, in return, you will receive a second-to-none level of support to help you develop your career and achieve your full potential. All of the case studies you are about to see have come into NMUK at different levels and have progressed within their departments. I have worked in Quality Assurance my whole time at Nissan and I like that it puts me at the interface between the factory and the customer. Having a customer-centric view helps add meaning and significance to everything we do in terms of trying to make the best possible product. Being in QA also gives you a broad experience of manufacturing and testing processes, covering supplier parts, in-house manufacturing shops, finished vehicle evaluation and monitoring and responding to market feedback. As previously mentioned, I have been fortunate enough to work in every different section within the QA department and have enjoyed the very different challenges that the various roles have presented. I joined the NMUK Graduate scheme straight out of university and had the opportunity to work in a number of different roles within the QA department as a graduate and then an engineer. After 6 and a half years with the company I successfully applied for promotion to Senior Engineer. This gave me the chance to lead a small team of engineers, manage projects and budgets and also be involved in recruitment of new engineers, all of which presented an enjoyable challenge. Again I had the opportunity to move around within QA, having 3 different Senior Engineer roles in 4 years, which allowed me to continue to broaden my experience and skill set. 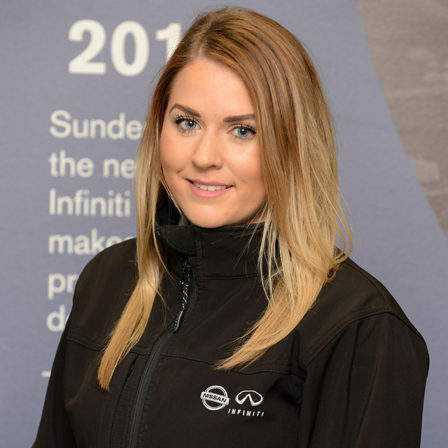 The third my Senior roles was leading the new model vehicle quality team on Infiniti Q30 project, which was a hugely exciting and demanding project to be involved in. Following a successful launch for Infiniti, I was given the chance to progress again, and was promoted into my current role as VQA Manager. This is a broad and varied role in which I have responsibility for finished vehicle quality for all NMUK models, and it is another challenge that I greatly enjoy. The Shop Floor systems team within Nissan Europe Information Systems is a varied and fast-paced working environment. Over the 5 years I have been at NMUK the team has grown from 4 people supporting NMUK to 16 people working on a 3-shift operation. We now support and lead a number of plants across Europe and this increase in pace has exposed us to a number of new and exciting opportunities. Being in a project management role has allowed me to work with a number of different areas of the business both here at NMUK and across Europe. 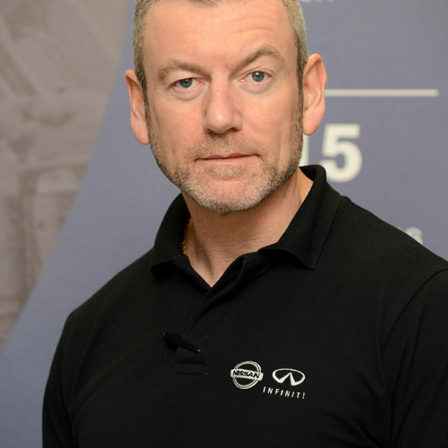 The recent launch of Infiniti has brought along a new set of challenges which has further expanded the diverse range of systems in the Shop Floor Systems area. My career within Nissan Europe Information Systems started in 2011 as a Placement student based in the Shop Floor Systems team. My main responsibility was to lead a project delivering a Line Balancing system to NMUK Engineering using the PMWay2 Methodology. After my Industrial Placement I was offered a part time position to complete the Line Balancing project delivery, along with a Graduate programme contract to begin after completing my BSc. in ITMB. 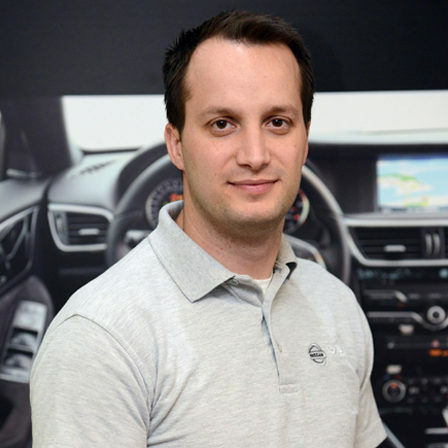 During the Graduate programme I was responsible for managing projects within Nissan Europe Information Systems; specifically leading a project to implement a Traceability system to support Infiniti launch. This involved working closely with suppliers to deliver a system that met the business needs. As a manager my responsibilities have increased to become the Traceability Subject Matter Expert (SME). This involves identifying synergies between NMUK other NEIS plants to reduce system delivery costs. Within this role a forward-thinking mind-set is essential to predict and plan for upcoming projects. I have recently joined the Nissan Launch program to complete a post-graduate certificate in Leadership and Change, and I hope to use this knowledge to assist me in my job at Nissan. I am responsible for Supply Chain Management (SCM) Systems, which comprises Supply Chain Development, Alliance Logistics Europe and Sales Operations. SCM Systems supports production ordering on 16 plants across Europe and beyond; vehicle ordering by 8000 dealers; and the outbound transportation of vehicles to their final destinations in over 150 global markets. Potentially that could be daunting, with critical ordering & logistics systems where every minute counts. Thankfully I’m helped by 3 great teams of experts that make all of this happen on a daily basis and drive projects forward to help deliver technology solutions. Fostering an open and inclusive environment is important and everyone is encouraged to contribute. Making time for individual team members is key to our success, as this is a chance to catch up and talk about training opportunities and career progression. There’s always a lot to do, with various travel opportunities and new initiatives to launch. All of this keeps things interesting! I’ve always been interested in computing, and studied the subject at both school and university. I first started my career at NMUK as a Placement Student in Information Systems and returned to the Nissan Graduate Programme once I had finished university. Within a few years I had been promoted to managerial level and then spent a further 8 years working on various teams within Information Systems. Following a industry change for 12 years I returned to Nissan 4 years ago and was amazed with how much the Information Systems department had evolved to cover the support of all operations across Europe. The same ethos of development and progression still applied however and I soon progressed to be responsible for the Sales Operations systems before being lucky enough last year to be promoted to full responsibility for the Supply Chain Management Systems. My role carries a lot of responsibility. I manage a variety of logistics schemes and warehouses that form an essential part of the NMUK supply chain. Structure, processes and systems need to be in place to make sure each part of the supply chain knows exactly what they need to do to make sure the production have the right parts at the right time. We are collecting parts from suppliers throughout the world and things can go wrong. Being able to quickly understand the situation and take the right corrective action is absolutely essential in my job. For me the appealing part of the job is that you are dealing with real people and dynamic operations and this keeps things interesting. Appointed logistics partners carry out the day-to-day operations and we have a team of NMUK staff overseeing the whole operation. Being a Senior Controller means you also have a lot of responsibility for the general working environment and this also carries a high degree of accountability. I started at NMUK in early 1986 when we had just moved into the plant and before the main assembly line had been installed. I was soon promoted to Team Leader and was on NMUK’s first production night shift before being promoted once again to the level of Senior Supervisor. I have had the opportunities over the years to work in various parts of the business and have enjoyed some short secondments working on; the set up of NMGR in St. Petersburg; Nissan South Africa in Pretoria; and leading the on-site Warehouse project and Warehouse system development. During this time, I have maintained operational responsibility for inbound logistics. We have a number of ways to support you throughout your career at NMUK. When you first start with us, you will have a company- and department-specific induction. We have a number of internal training courses available to all employees, as well as access to courses delivered by external providers. In addition to the initial induction programme, we have a number of development courses to help employees progress to the next level. As well as the more structured and formal training we offer, our knowledgeable teams will help you settle in on a daily basis. We may work in a busy environment, but everyone is welcoming and always ready to help out a colleague.